John F. Kennedy - St. Louis Equity Fund, Inc.
As President and CEO John is responsible for the complete oversight and business development of the St. Louis Equity Fund, Inc. and its related affiliates, Kansas City Equity Fund, LLC and Gateway Community Development Fund, Inc.
John joined SLEFI in 1998, and prior to being named President and CEO in June of 2015, was responsible for all financial accounting, financial reporting, year-end tax reporting and reporting to investors. He will continue to oversee and advise the corporation on all new and potential projects financed with equity investments. He led the development of Tax Credit Manager, an internet-based asset management database and reporting system, and the formation of Gateway Community Development Fund, Inc., a US Treasury certified Community Development Financial Institution (CDFI).Before joining SLEFI, John worked as controller for the Sansone Group, Inc., a commercial real estate developer in St. Louis, as controller for The Jones Company, a residential homebuilder and as controller for Heitmann & Associates, Inc., an engineering consulting firm. In these positions, his responsibilities included financial accounting and reporting, tax reporting, budget planning, information systems development and management and employee benefits. In addition, John worked for seven years in the public accounting firm of Aselage, Kiefer & Company in St. Louis where he became a CPA. 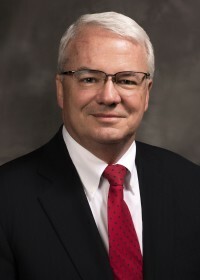 His career in accounting began in 1978 with the Railroadmen’s Federal Savings and Loan in Indianapolis, his home town. John holds a Bachelor of Science degree in Business Administration from Creighton University. John is a member of the American Institute of Certified Public Accountants; the Missouri Society of Certified Public Accountants; and Financial Executives International (FEI). John is an independent, public interest director on the board of directors of the Federal Home Loan Bank of Des Moines (FHLB). John began his service to the bank in 2007 as an appointed public interest director. In 2008 and again in 2012 and 2016, John was re-elected by the members of the FHLB Des Moines to serve four year terms on the Bank’s board. The Bank’s 25-member board is comprised of bank members, independent and public interest directors. The Bank serves nearly 1,500 commercial bank, credit union, thrift and insurance company members in Iowa, Minnesota, Missouri, North Dakota and South Dakota, Hawaii, Alaska, Washington, Oregon, Montana, Wyoming, Utah, Idaho, and the American Samoa’s, Guam and the Mariana Islands. Other boards on which John serves or has served include the Northside Community Housing, Inc. and DeSales Community Housing Corporation, both St. Louis housing development organizations, in addition to serving on the board of directors of St. Louis Equity Fund, Inc. and Gateway Community Development Fund, Inc.